I wanted to review some sheet masks that I received from Skin18.com. Skin18 is an online retailer that focus on offering the best skincare products that help you to look your best. 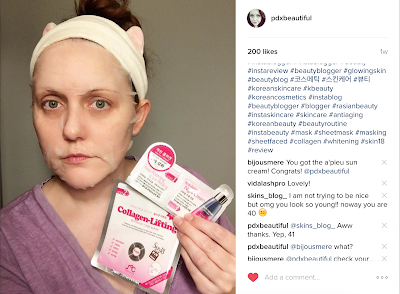 Skin18's philosophy is skincare instead of makeup. Although I do like makeup, I believe that skincare should always come first. I was contacted to see if I wanted to review some sheet masks and without hesitation, I accepted the offer as you all know I love my sheet masks. I was pleasantly surprised when the package arrived and I found sheet masks from brands I had never heard of before. I did post all of these reviews on my Instagram page. Please follow me if you don't already because I am most active on Instagram than here on my blog (although I am trying to be better at keeping this blog active). This was my first 3D masks and although the fit was a bit off, I actually enjoyed this mask. After about 30 minutes, I took this off to find my skin less red and more calm. My skin was very hydrated and plump. A few blemishes were less red, irritated and puffy. There was also left over essence for a facial massage. 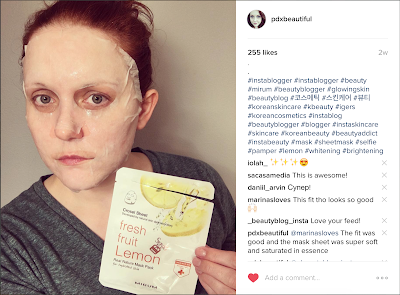 The essence itself was a thin, clear and watery texture without being sticky but the sheet mask itself was a little too thick. Notable ingredients include snail secretion filtrate, collagen, aloe, folic acid, hyaluronate, peptide and ginseng. 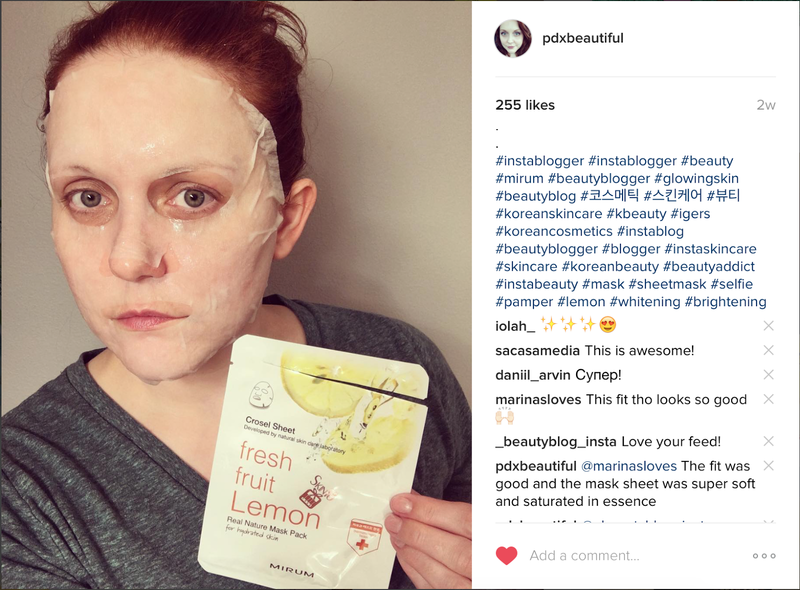 I would definitely repurchase this mask and want to try more flavors from this particular line. This is one of those cleanser, mask and cream combination masks which I am not fond of because of patch testing reasons. This would be a great option, especially if you are traveling but for someone with sensitive skin like me, I rarely use these types of masks. The mask sheet itself was very thin and I tore it when I was trying to unfold it. This mask was saturated in essence and lasted a good 45 minutes and my skin did feel well hydrated. The best effect was the next morning, my skin felt a lot more balanced. Notable ingredients include glacier water, niacinamide, collagen, hyaluronic acid and rice. This masks doesn't contain any parabens or mineral oil, another great aspect but I would not repurchase because not using the other two steps just seems like a waste. This was just an ok mask for me. When I first applied the mask my face tingled a bit but went away quickly. I think the tingling was from my skin just being super irritated and not a reaction. This did give my skin a slight brightening effect, I did not notice and other rresults. I do like the 100% natural cotton mask sheet and the fact that this doesn't contain any mineral oil but I would not repurchase. 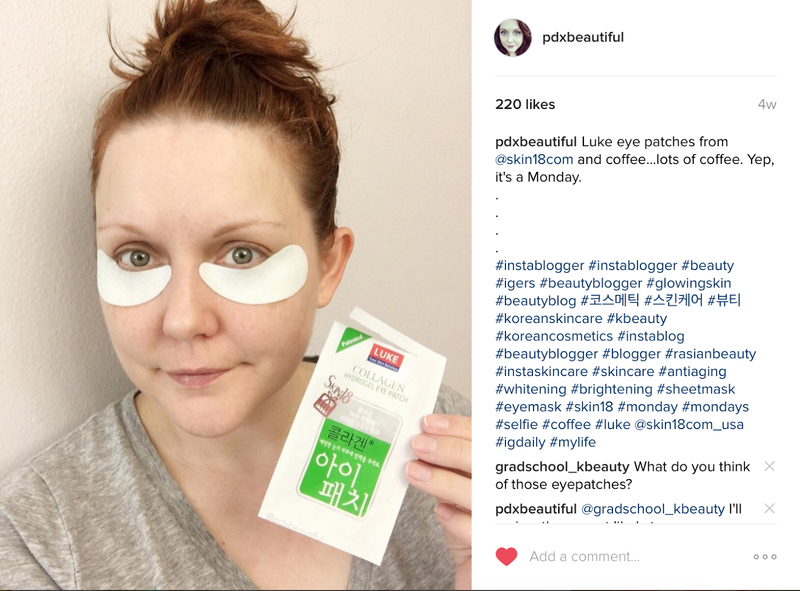 My under eyes are my main concern because they are very dry with fine lines but are super sensitive. I was very excited that I received these eye patches but my enthusiasm quickly diminished because these were not very good at all. These were more like stickers than eye mask patches so while they stayed on and didn't side around, they were sticky and pulled/tugged at delicate under eye skin. Besides a little cooling effect these did not even hydrate. I would not repurchase and I would not recommend. Thank you all so much reading my honest reviews on these masks! 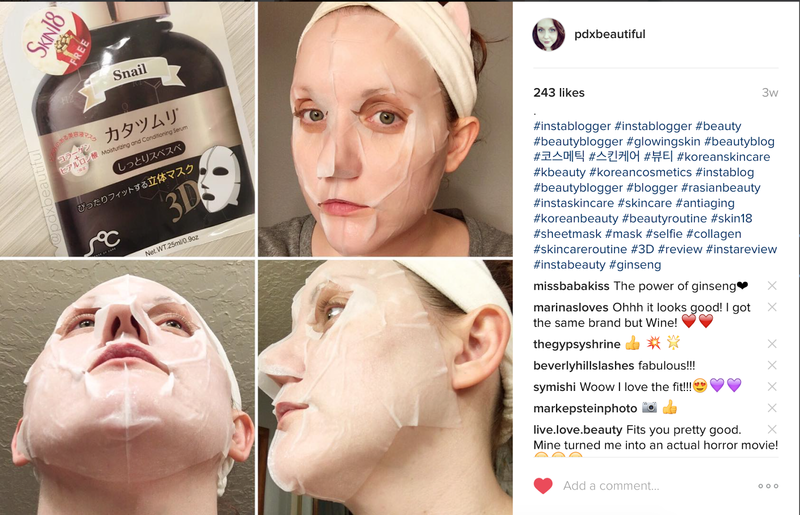 I would highly recommend checking out Skin18 as they offer so many masks, especially more unique ones from smaller brands at great prices. 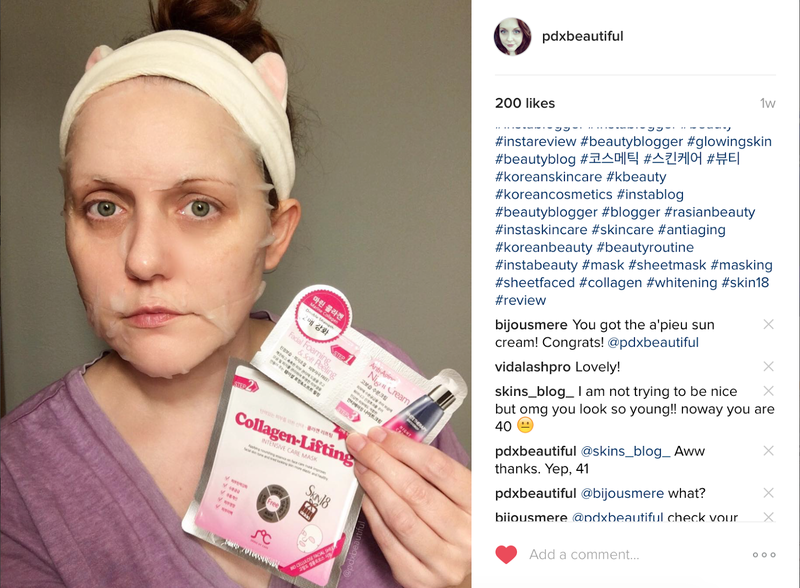 I would recommend the 3D mask and the collagen lifting one if you like combination mask/skincare.